Leonard Gardner was born in Stockton, California. His writing has appeared in The Paris Review, Esquire, Southwest Review, and other magazines. His screen adaptation of Fat City was made into a film by John Huston. A Guggenheim Fellow, he lives in northern California. Denis Johnson is the author of eight novels, one novella, one book of short stories, three collections of poetry, two collections of plays, and one book of reportage. His novel Tree of Smoke won the 2007 National Book Award. 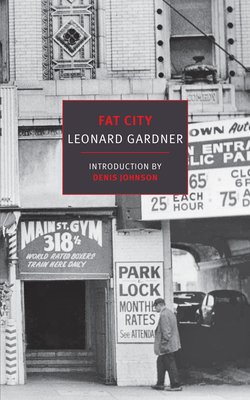 Set in the bars, buses, gyms, and transit hotels of gritty, fifties’ era Stockton, California, Fat City is a perfect document, mapped and studied, the dialogue memorized, by generations of writers. The well-known film (written by Gardner for John Huston), only approaches the spare timelessness of Gardner’s prose.